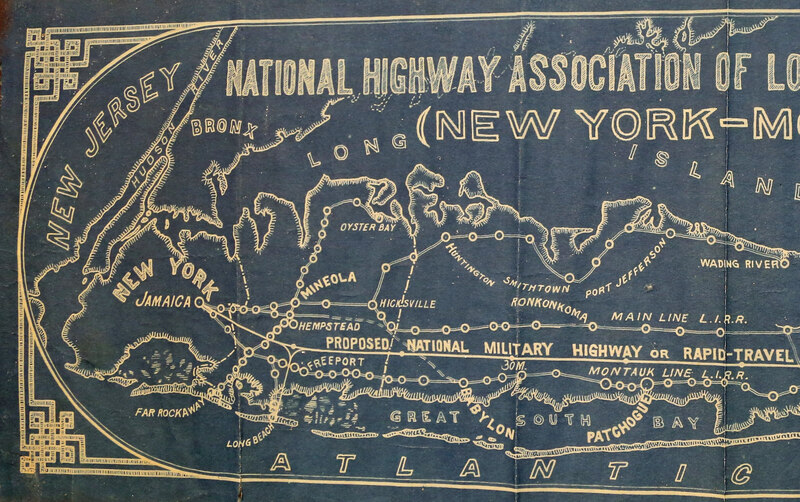 Established by Charles Henry Davis in 1912, the leading advocate for the development of national highways and "good roads everywhere" was the National Highways Association. 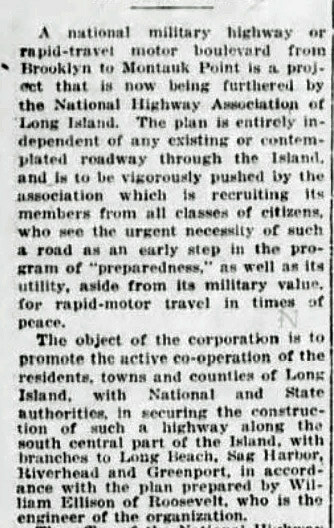 With war raging in Europe, in 1916 the National Highway Association of Long Island proposed this 90-mile national military highway from Jamaica, Queens to Montauk. 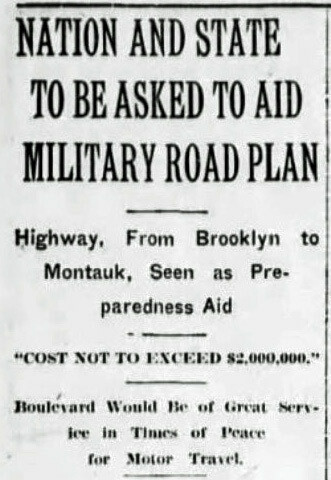 The proposed National Militiary Highway was north of the Montauk LIRR line, approximately where the Southern State Parkway was proposed by Robert Moses in 1925 and first section opened two years later. 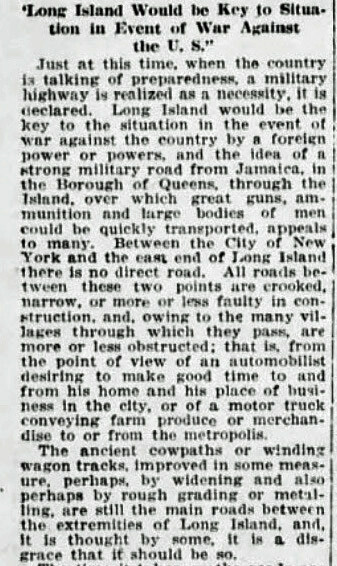 "Boulevard would be of great service in times of peace for motor travel". 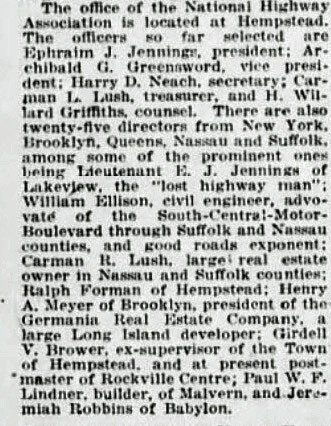 The road was entirely independent of the Long Island Motor Parkway. There was an "urgent necessity of such a road as an early step in the program of "preparedness"." 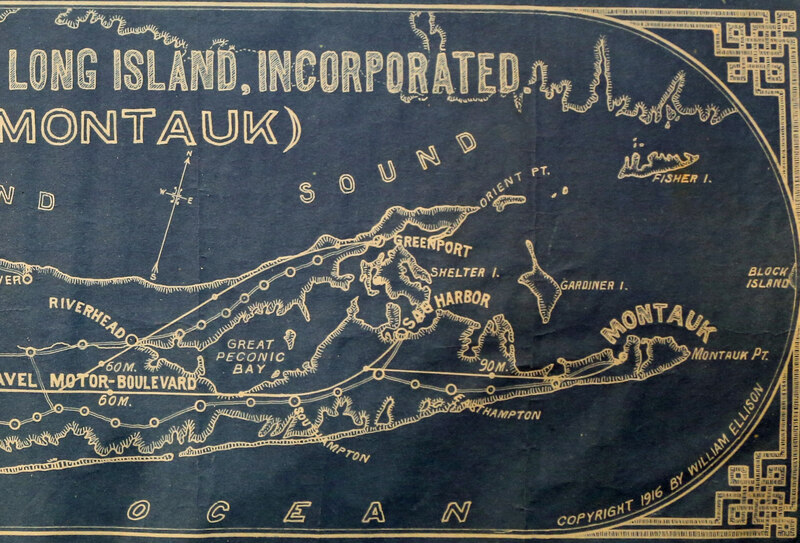 "Long Island would be a key to situation in event of war against the U.S." Less than four months later, the United States joined the fight in World War I. A shot at the Motor Parkway? "All roads between these two points are crooked, narrow, or more or less faulty in construction." "It was proposed to make a steel shod road, similar to roads in Australia." 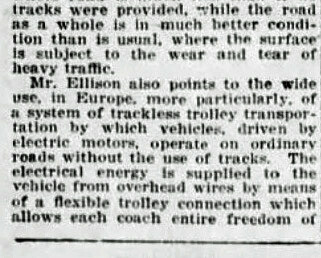 An electrical trolley system was also being considered. Great stuff Howard. 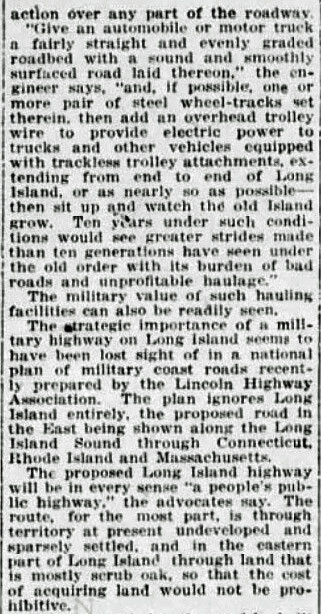 The military roadway if constructed would’ve transformed the entire Long Island roadway system we use today. 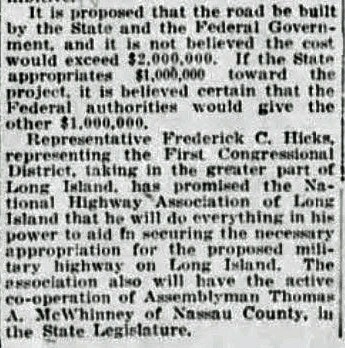 It seems to have been the first draft of the LI Expwy, a roadway to extend as far as possible. The Lincoln Highway has similarities to the Motor Parkway where remnants still exist throughout its course. The main difference is its 3400 mile length from the Lincoln Tunnel to Lincoln Park in San Francisco. That Brooklyn Daily Eagle deserves more investigating.